about your book Give Me Everything. is on a mission to take over older, outdated malls. like her best friend has… but she’s given up on ever finding her own Mr. Right. world. What is it like in this period or place? around local politics and economic development. what you’re doing because of that simple fact. 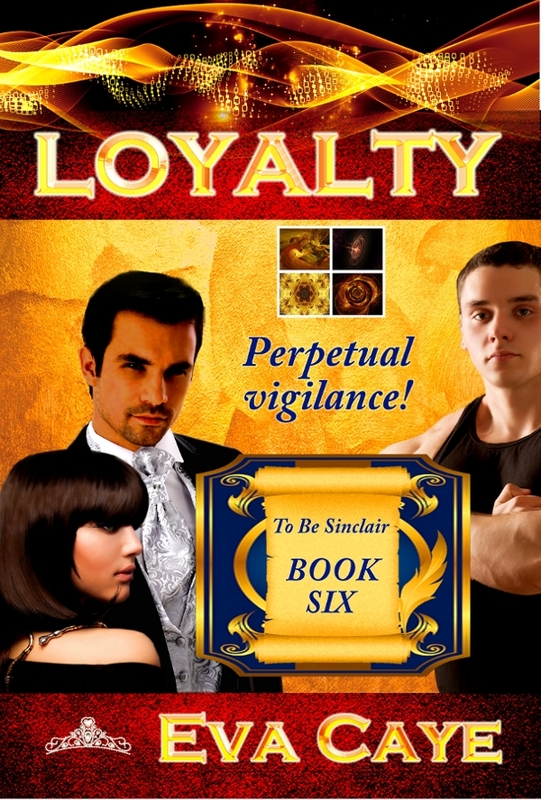 current book do you think readers will like the most? Why? a small company in a great community, and help preserve a little bit of history. her own way by someone she loved. enjoyed playing out different scenarios in my head. I’ll rewrite scenes to movies. took me a while to figure out what to do with it. most in your career as an author? and gained confidence in myself as a writer. because I’m thinking too hard, and forcing the story verses letting it flow naturally. what would we find you doing? a notebook with me, and I scribble, relentlessly. Conversations. What they are wearing. do you prefer to make it up on the spur of the moment? book, what do you wish you had done differently? I will definitely peel back the layers. do you write into your books? being obtainable. We can at least try. what do you do to capture it? helps me see the other characters more clearly. the hardest to write and why? heartbreaking. It can be hard to shake the memories. are just meant to be, and regardless of anything, they’ll just be. you listen to while driving? Same question when writing? to listen to something appropriate. and onion. And don’t forget a glass of red wine. I’m always ready for travel. When I’m alone, I veg out on the SyFy channel. If I could live in another country I’d move to Rome, Italy. because the voices in my head would find another way out. I’m subbing away. When the ink has dried, I’ll let you know. Catrina Barton, welcome to Romance Lives Forever. Let’s talk about your book, Dangerous Temptation. Tagline: Seventeen year old Kaitlin Sinclair is about to have her life changed forever by an enticing stranger, and a prophecy she knows nothing about. Seventeen year-old orphan Kaitlin Sinclair’s world gets turned upside down when she’s forced to move half way around the world to Indonesia with her uncle she never knew existed. Things get worse when the demons she left behind in America follow her to the land of intrigue. Her uncle forces her to attend a celebration where she meets Cadmon, a mysterious, captivating stranger, who reveals that he knew her parents. She uncovers secrets that in the wrong hands could destroy his endangered clan of were-tigers and the entire world. When Kaitlin dives into a foreign culture, full of mystique and dangers everywhere she turns, keeping her heart safe might prove as impossible as staying alive. best of her horrible situations. She’s also ready to start her first big adventure. with honey} and some music to set the mood I’m trying to create. Amatuer belly dancing, teaching Kung Fu, or hiking with my family. top and type it down. teaching Kung Fu, yard work, editing, stocking, fast food. True friendship and true love. what era would be your first stop? Cage. Comedy is Mrs Doubtfire with Robin Williams. I love pizza with tomatoes, extra cheese, and lots of meat. I’m always ready to turn on the music, when my speakers cooperate. good thing, but it keeps me realistic. If I had a halo it would be a blinding mix of white and yellow. would reflect on the future. 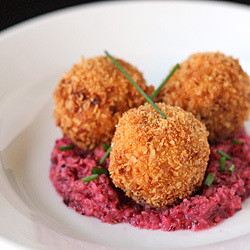 days to their FREE marketing summer camp with scrumptious recipes from members. 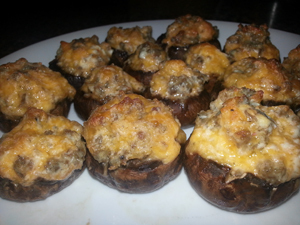 Today’s recipe is Dottie’s Stuffed Mushrooms. Take it away, Jennifer! you! It’s called Marketing For Romance Writers (MFRW). nothing short of amazing the things these folks do for writers like us! than that?!? Oh, I know: It’s free! enough of for my guests ~ even had a caterer ask for the recipe to this one;). Remove the stems from the mushrooms by gently twisting them off. pan(s) and bake, uncovered, at 350º for 20-30 minutes until hot and bubbly. Sarah, uses her power of fire to interfere in every intimate relationship Skye has. is a female his concern grows, as does his lust. of his home and kin from those that wish to destroy what he has fought to hold onto. she can trust the man who holds her life in his hands – even as he steals her heart. 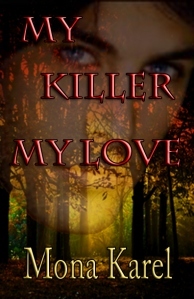 interview your character, Kendra Weiss from the book, My Killer My Love. and discovers the soul he’d forgotten he possessed. is ailing, too. Evil stalks its dark places, turning its quiet glades into a battlefield. in time to save the ancient forest? her of, Kendra is the missing part of the soul Mykhael didn’t know he still possessed. in his life that matters? to heal herself and, as it turns out, the forest. advanced age. He’s an enforcer, a guardian of the sacred places on Earth. Tell us about Mykhael Alastor. of the Atrahasis, he grew up away from the family and alone after his mother died. really. I learned to keep the garden growing and how to live here in the woods. What would Mykhael say is your strongest point? disappointment to your family? And they LET you stay at the cottage?” Sigh. she does bake a marvelous loaf of bread. to answer questions for myself? And here I thought you’d become a more modern man. long time involvement in pure bred dogs and her husband’s amazing artistic talent. issues come to the fore! needed to maintain not only their own safety, but that of the Empire? grammar, and fleshing out the scenes with pertinent information, such as burn therapies. the editor for a final check, and one final edit. myself up when I find another inconsistency I missed the first hundred times I edited! I go nuts until it is uploaded to Amazon or Smashwords one more time. own, but I do not hesitate to include others. or religious books, for I was a ‘seeker’ for many years. can be charged with solar power and have books downloaded directly via satellite. Do you plan to branch out into other genres? posts, and short stories instead of books. 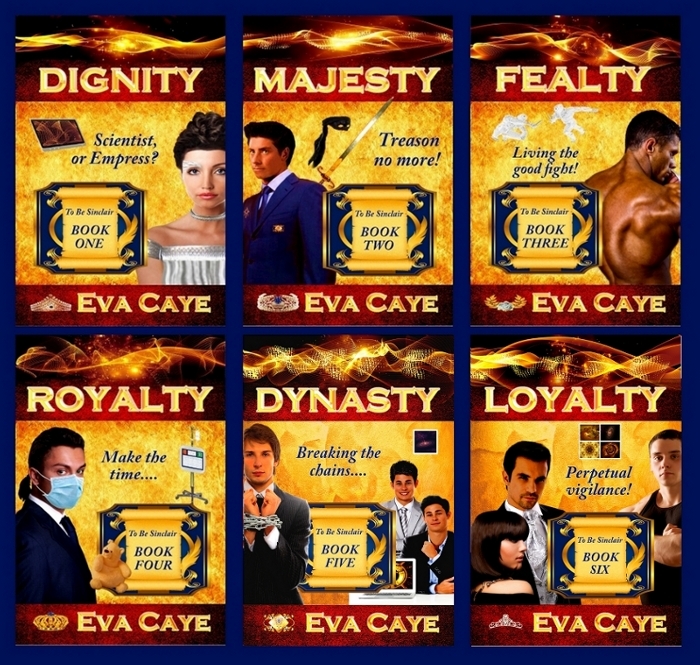 My first five-star review, which I wrote about here: http://www.evacaye.com/my-first-five-star-review/. like winning an Oscar for a debut performance. feel like I’m being productive. I love pizza with fresh veggies. I’m always ready for a chat on Facebook. When I’m alone, I am either reading, writing, or sleeping. You’d never be able to tell, but I’m a pretty good tarot reader. like the headdress of Nefertiti. what the future will be like in 1000 years. have passed along some good ‘clues’ along the way. titled Enter the Goddess and Undying Dawn.